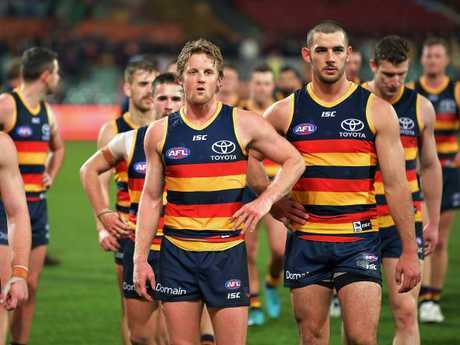 ADELAIDE coach Don Pyke says he regrets pushing his AFL players too far mentally and physically, as more reports merge about the destructive pre-season camp that haunted the Crows' season. The club has tried to play down suggestions the camp crossed the line and upset players, but a new report claims senior stars confronted Pyke, chief executive Andrew Fagan and footy boss Brett Burton to voice their concerns about their involvement with Collective Mind, who facilitated the camp. Speaking on FIVEaa radio, AFL journalist Caroline Wilson said some of the biggest names at the club, including Rory Sloane, captain Taylor Walker, Tom Lynch and Josh Jenkins, met with club officials this week to air their concerns. She said they wanted an apology from Burton - who played a key role in organising the camp - for the damage it had done. "This is not the first time senior players have called a meeting with senior management and it's not the first time they have demanded or asked for an apology from Brett Burton for what happened," Wilson told Rowey and Bicks. "The apology they received in the middle of the year ... I don't think the players were happy with that. 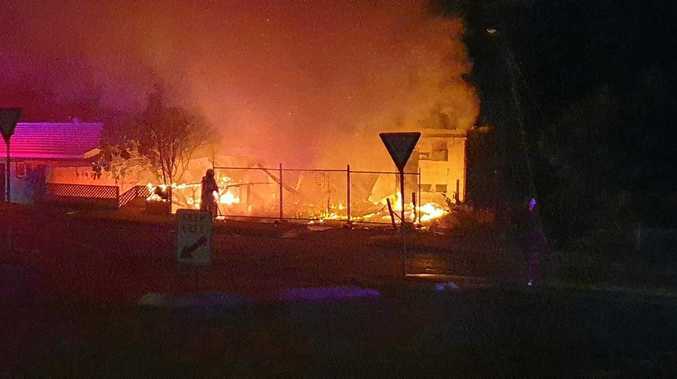 I think they wanted stronger recognition of the damage and the hurt that this camp and its aftermath caused the players and the football club. "I think they got that, I think Burton did apologise. "But the anger is still there, the anger is still raw and the disappointment in what the club did to the players ... is still very, very raw. "Do not underestimate how angry the players were when they confronted club bosses the other day. Do not underestimate the ongoing angst from some of the indigenous players. "Even though the club says it wasn't a psychological camp some of the personal things that were thrown at these players when they were assured those things weren't going to happen, I think was really out of line." Wilson also said Walker was disciplined by the club for a drinking indiscretion towards the end of the season - another black mark on the club's season from hell. The Crows missed the top eight after making last year's grand final. "Tex was caught on the grog a few weeks ago ... in one of the last games of the season," she said. "Taylor had too many drinks on a seven-day break. The club has spoken to him, it was decided he wasn't going to be suspended and that there was going to be a sanction. "The sanction was either a community appearance or a sponsor appearance or a fine." The Crows suffered an alarming fall from grace. 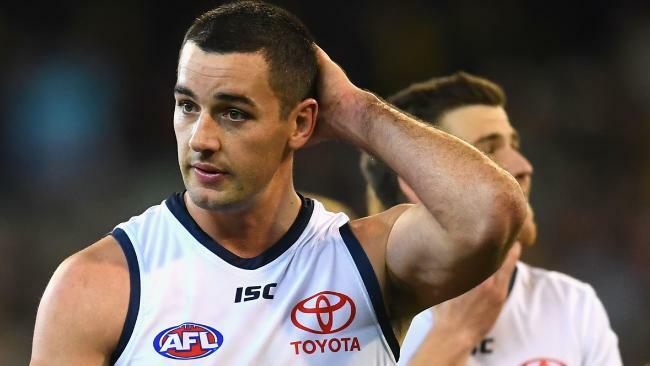 Speaking at Adelaide's club champion award function on Friday night, Pyke said it was important the Crows owned up to errors after their horror year. "It's important we acknowledge we made some mistakes - that is what humans do," he said. "In our drive to improve in our program both in our physical and mental side, in hindsight, seeking gains, maybe we pushed too far. And that I regret." Pyke said "the tsunami of negativity is real". "It's often easy to be swept up in that wave," he said. "But I know right now, the doubters and the negative people out there don't know the quality of people I'm working with." The Crows had three choices amid the adversity, he said. "You can let it define you; you can let it destroy you; or you can let it strengthen you - and I know which one we'll take," Pyke said. "At the moment, it's easy to see what people want us to see, which is the negatives, doubt ourselves, question where we're going. "I have real clarity of where we're going. "And I see this year as one of those things which has just come up ... to challenge us, to find out what we're made of. "And through that adversity, that is what will create the strength." Adelaide's chairman Rob Chapman told the function the club would "own the mistakes" of its year. "After a lifetime in business and sport, I know that when things go wrong, it's either the people or the process," Chapman said. "I'm confident ... that by and large we do have the right people in place." Defender Rory Laird won Adelaide's club champion award.